As Israel buries its dead, member of Jordanian parliament stands in salute of Samaria terrorist who murdered rabbi and 19-year-old soldier. As Israel buried its dead Monday, following a string of deadly Arab terrorist attacks in Samaria, a Jordanian lawmaker addressed his country’s parliament to laud and even stand in salute of the terrorist responsible for the attacks, praising him for the murder of two Israelis and using anti-Semitic slurs to deride Israel’s ambassador. Khalil Hussein Atieh, 60, a member of the lower chamber of the Jordanian parliament – the House of Representatives, addressed his fellow lawmakers Monday, standing in salute of Omar Abu Lila, the 20-year-old Palestinian Arab terrorist who killed two Israelis and wounded a third on Sunday. 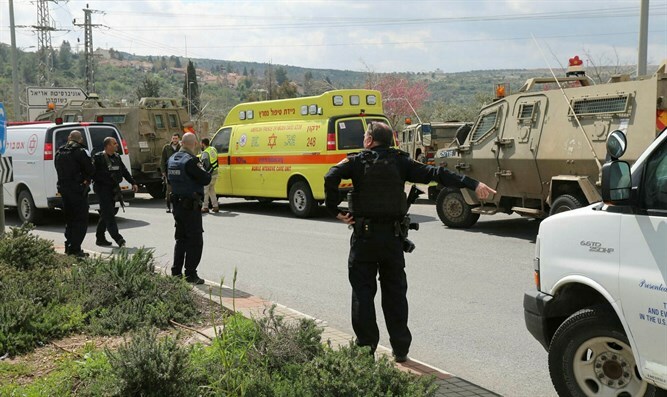 “I offer a military salute to Omar Abu Lila for his operation near the town of Salfit in the West Bank, which resulted in the killing and wounding of a number of Occupation soldiers and civilians Sunday,” said Atieh. During his address, Atieh stood up, holding his right hand up in salute of the terrorist. The Jordanian MP then launched into a tirade against Israel over alleged efforts to undermine the Al Aqsa Mosque on the Temple Mount, and demanded Jordan recall its ambassador from Israel, and expel Amir Weissbrod, the Israeli ambassador to Jordan. Atieh also used an anti-Semitic slur, based on passages from the Quran, to deride Weissbrod. On Monday, Rabbi Ahiad Ettinger, one of the two Israelis killed in the attacks Sunday, was laid to rest. A 19-year-old IDF soldier, Gal Keidan, was also killed in the attacks, while a second soldier, 19-year-old Alexander Dvorsky, was seriously wounded.